Chief Justice of India T.S. 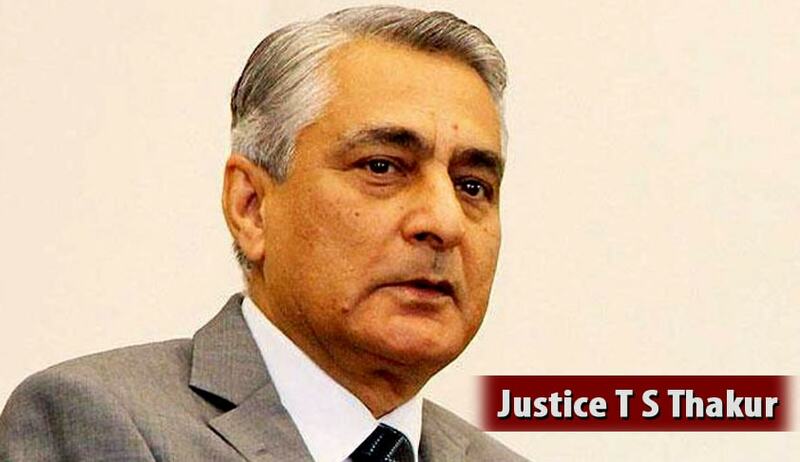 Thakur on Wednesday expressed his reservations over the Government’s decision to establish a committee of retired Judges to evaluate the applications of candidates before forwarding them to the collegium to decide whether to recommend their names for elevation or appointment as Judges. One such committee was reportedly proposed at the Supreme Court level and 24 others for each of the High Courts. The reservations came up during a meeting held between the CJI, External Affairs Minister Sushma Swaraj and Law Minister D.V. Sadananda Gowda at the CJI’s residence. The meeting was aimed at narrowing down the differences between the executive and the judiciary on the Memorandum of Procedure (MoP). The Government and the Judiciary have since been at loggerheads, especially with regard to a clause empowering the Government to reject the names suggested by the Supreme Court Collegium. This clause provides the Government with the right to reject a recommendation on grounds of national security. While the tussle continues, the vacancies in the High Courts of the country currently account for over 45% of the total approved strength of Judges for the High Courts. As on July 1, 2016, Allahabad High Court had the largest number of vacancies, standing at 82. It is hence currently working at 50% of its approved strength. Besides, Chhattisgarh High Court is also working at less than 50% of its approved strength. Even though Punjab and Haryana High Court has the second largest approved strength, it is working at 54% of that strength. Tripura and Sikkim High Courts are the only ones functioning with no vacancy. Manipur and Meghalaya High Courts are functioning with 1 vacancy each. Read the vacancy list here.